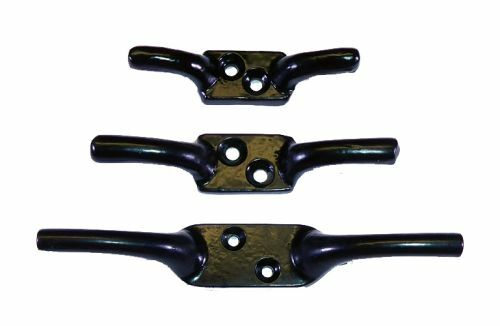 100mm (4") Black Cast Cleat Hooks. Ideal for securing rope to walls and other surfaces. Quantity discount for a box of 25 hooks.